A week or so ago I took a Press Trip to Washington County, Oregon. On day 1 we stopped in at 1910 Main – An American Bistro for lunch. They feature updated classic American cuisine that uses local ingredients. 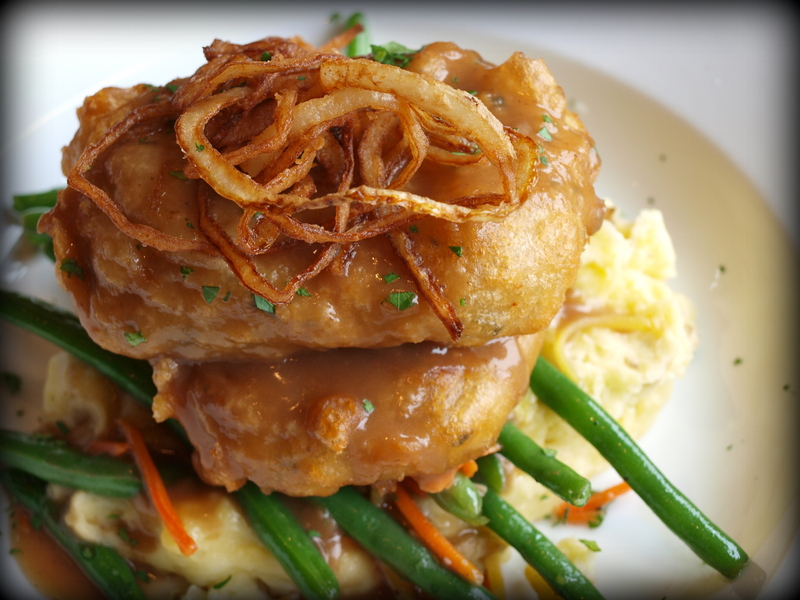 This right here…..this is the hand dipped, beer battered meatloaf with mashed Yukon potatoes, seasonal vegetable (green beans in this case), fried onions and beef reduction. I say I like a lot of things, but really, look at this thing. As awesome as it looks it tasted twice as good. Oh man i want me some of THAT!